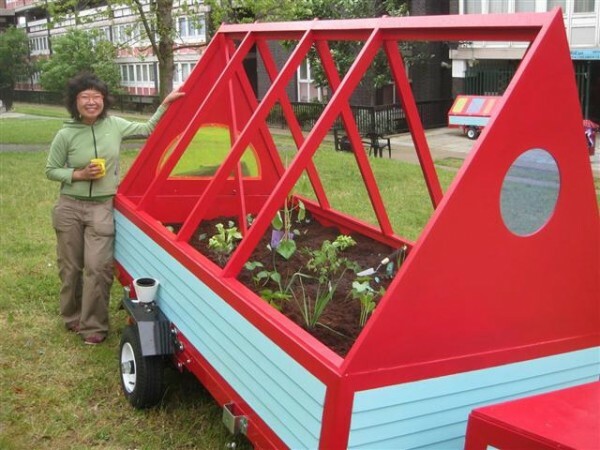 The Mobile Allotment has now taken up residence on Nightingale Vale in Woolwich. We have started a blog page for the project so that you can follow the Mobile Allotment and the projects it hosts over the coming months. Peel Precinct Garden Club is a project that has been running in the heart of South Kilburn since Jan 2009. It is an arts and environment initiative set up by Avant-Gardener, Polly Brannan to encourage the local community of South Kilburn to get involved and learn about making our local environment more green! 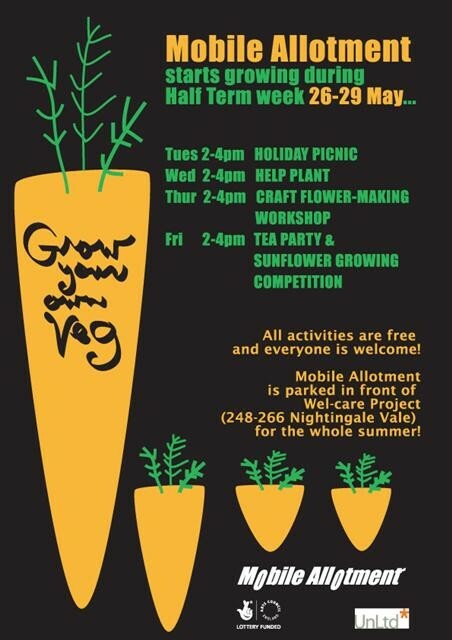 So far The Peel Precinct Garden Club has been running gardening workshops at the YELLOW CUBE on Peel Precinct, visiting local gardening enthusiasts from the local area, running arts workshops, helping out South Kilburn Partnership at the South Kilburn Clean up day in March, visiting other local community gardens and initiatives and also the club has been working once a week at local school St Mary's Primary! 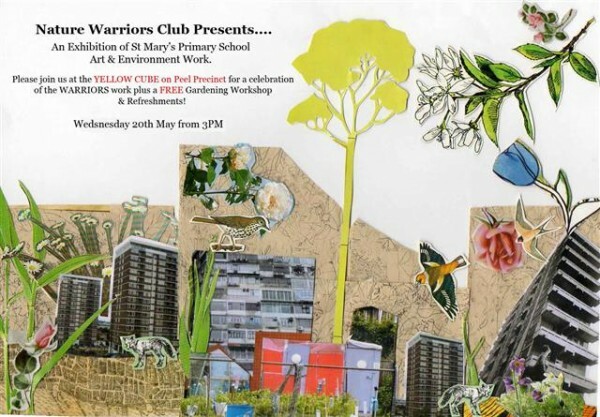 Polly has been working with the school creating their very own gardening and arts club called the Nature Warriors Club this club uses artistic processes to think about the environment and how we can make our local areas greener! The Nature Warriors Club has been invited to hold an exhibition of all their hard work at the Peel Precinct on the YELLOW CUBE! They have been planting their very own seedlings and bulbs in and around the outside area of the school as well as growing their very own food including tomatoes, herbs and salads! The pupils have also been creating their very own super hero characters and costumes! Peel Precinct Garden Club invites you to the launch and celebrations of the Nature Warriors Club!